The Count down for the Fantasy Gacha is down to 10 Days!! The Event loved by all Fantasy dressed avatars is almost upon us and so many fun things to find this round. With so many events going and coming blogging is much fun right now. Today’s post is based on the Fashun Crowns coming to the Fantasy Gacha in just 10 short days by Enfant Terrible. 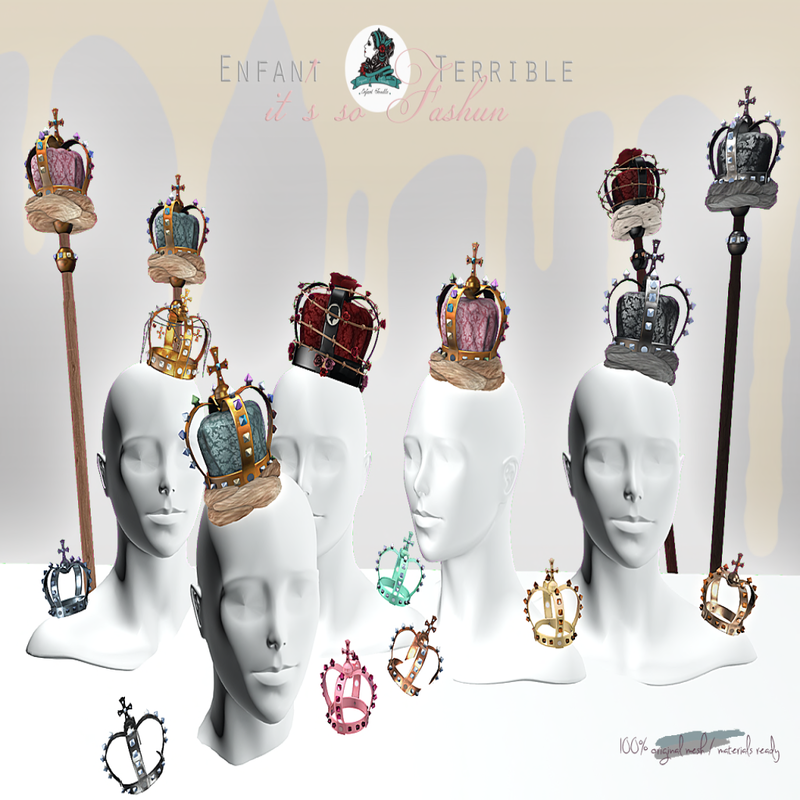 Along with the crowns Enfant Terrible also brings matching staffs and with whatever colors you get you honestly just cant go wrong.